Dubai Parks and Resorts – the region’s largest theme park destination will open its gates to the public on October 31, 2016. 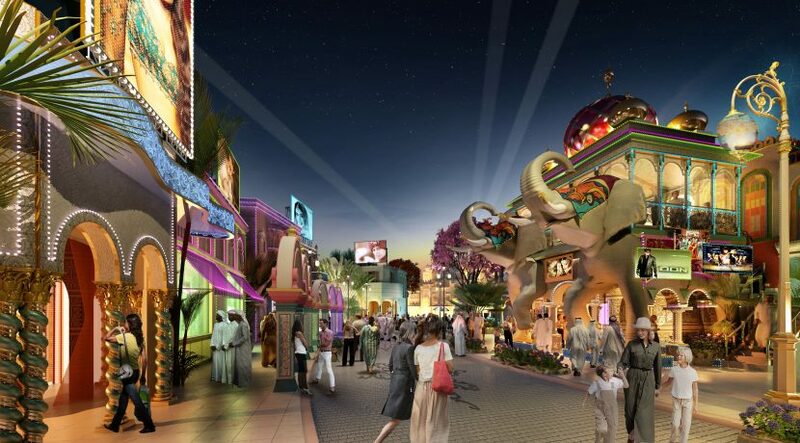 This unique destination will be comprised of three theme parks – Bollywood Parks Dubai, Motiongate, and Legoland, together with Legoland Water Park. The destination will also include Riverland – a themed retail, dining, and entertainment experience, along with the Lapita Hotel – a Polynesian-themed family resort. The entire range of products and prices will be announced soon. “This has been a long-time coming and I can’t say enough about how excited we are to welcome our guests to the destination to Experience Amazing.,” said Raed Kajoor Al Nuaimi, CEO of Dubai Parks and Resorts. Bollywood Parks Dubai is the first-ever Bollywood themed park in the world, providing guests with a flavour of Bollywood and Indian culture through immersive rides, delicious food, stunning live performances and extravagant entertainment. Bollywood Parks Dubai will feature cinematic rides and attractions for families and visitors of all ages to experience recreations of some of Bollywood’s biggest blockbusters such as Don, Lagaan, Sholay, Krrish and RA.One, through state-of-the-art 3D and 4D systems, as well as a stunning stunt show, live performances and hot sets based on the Dabangg, Rock On!! and Zindagi Na Milegi Na Dobara. Two hundred dance performers will be regularly stunning guests with amazing, intricate routines with up to 20 live shows across five stages; Rock On! !, Crossroads, Mumbai Express, Rangmanch and Stars on Steps..
At the heart of Bollywood Parks Dubai lies its crowning jewel, the magnificent Rajmahal Theatre, an 850-seat opulent theatre that will host a separately ticketed Broadway-styled Bollywood musical. Motiongate Dubai is the largest of the three theme parks and whilst a significant portion of the park will premiere on 31st October, work on some of the attractions will be ongoing for a couple of months. In the Sony Pictures Studios Zone, guests can blast ghosts in the exciting Ghostbusters dark ride, ride their own Black Beauty aboard The Green Hornet: High Speed Chase roller coaster or freefall from the 58m Zombieland: Blast Off tower. In Smurfs Village Zone, families will be invited into the charming mushroom-capped world of the loveable Smurfs, featuring five exciting rides and attractions including the world’s first Smurfs-inspired roller coaster, Smurfs Village Express. For live entertainment, fans of music will love Step Up Dubai and the dancing Ghostbusters band. The fully-indoors DreamWorks Zone features 12 exciting rides and attractions including roller coasters, dark rides and interactive adventure areas, plus five live entertainment experiences. Guests will be transported into completely immersive lands inspired by Shrek, Kung Fu Panda, Madagascar and How To Train Your Dragon, bringing their favourite films and characters to life like never seen before. The Lionsgate Zone, guests will experience the world’s first theme park attractions inspired by The Hunger Games, showcasing a thrilling roller coaster and an exciting 3D motion simulator. Legoland Dubai is the ultimate world of year-round Lego-themed adventures for families with children aged 2-12. Legoland will feature over 40 interactive rides, shows and attractions and 15,000 Lego model structures made from over 60 million Lego bricks. It is designed to provide a full day’s interactive, theme park experience. Legoland Water Park is located adjacent to Legoland and is the only water park in the region designed specifically for kids aged 2-12 and their families. The water park will feature more than 20 water slides and attractions, each offering a different and fun-soaked experience including the highly anticipated Build-A-Raft River where children of all ages can customise their own raft using Lego soft bricks, before floating down a lazy river with views of the entire park. Riverland Dubai, a uniquely themed retail and dining destination at the heart of Dubai Parks and Resorts. This themed dining, retail and entertainment destination is open to everyone with or without a ticket to the adjoining parks. Riverland has four themed zones that offer a fascinating glimpse into some of the greatest eras of the past – from 1950s America at The Boardwalk to medieval France at The French Village, colonial India at India Gate and the 19th century-themed Peninsula. The Lapita Hotel is a Polynesian themed family hotel with 501-rooms and three villas and is part of the Marriott Autograph Collection. The hotel will bring an exciting, new and fresh approach to family vacations and is custom tailored to the needs of families, including adventure playgrounds, kids/teen and adult fun pools, child friendly and designed F&B outlets, family spas as well as spaces and facilities designed for adults to relax and enjoy.